The SWS Seceuroglide roller garage door comes in a few versions. 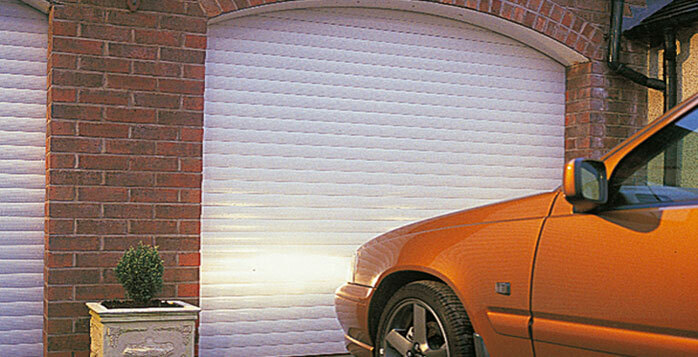 The standard door – This uses the 77mm double skinned aluminium slat, and available in a large colour range. 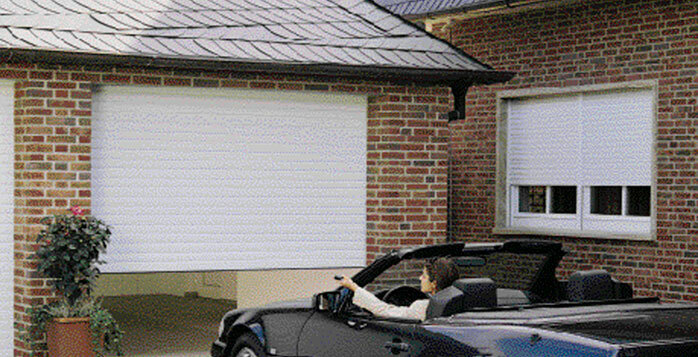 Normal headroom is 300mm, and there are two guide options depending on width of door. Electric and remote controlled as standard. The Upgraded Security Excel version – This is same as above, but has 90mm guides as standard and ‘guide shoes’ for reveal fixed doors. There are certian installation restrictions, but installed correctly, gains insurance approval to LPS1175. 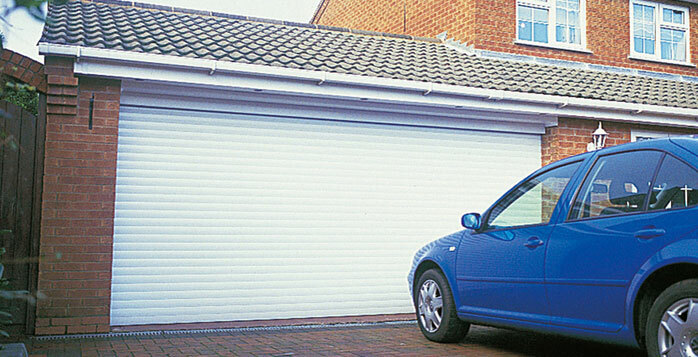 The Compact – This uses a 55mm slat and is considerably thinner than the 77mm slat. But this enables the door to be installed in only 205mm headroom, particularly useful where room is tight!